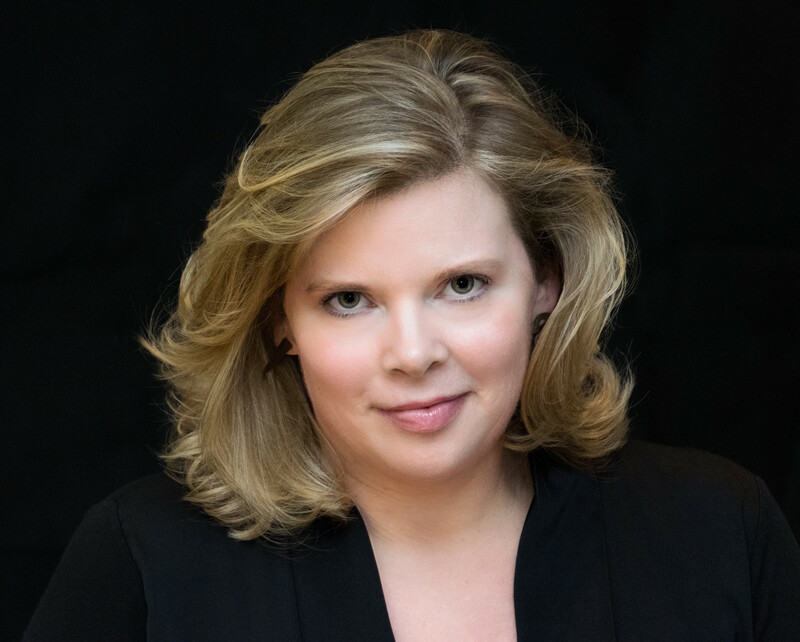 In our first guest blog by past finalists, Sarah Merrett (UV2018), whose extract was called The Darlington Miracles, talks about how being short-listed opened doors for her and shares tips to get your extract in shape before you’re ready to submit. So, you’re thinking of entering Undiscovered Voices 2020. Should you go for it? Most definitely. It was the best decision I ever made for my writing career. Becoming a winning finalist in 2018 was the stuff of dreams. It really opened doors for me. I had agents asking to see my book without even sending out a query. Lots of agents. I was lucky enough to be offered representation from my dream agency before the UV launch party had even started. I still pinch myself sometimes. Is your first line attention grabbing enough? Does it entice your reader by posing a question such as why, what or how? Analyse the opening lines of some successful children’s books. Why are they strong? How do they lure you in? Could your opening scene be improved by adding more drama, excitement or mystery? 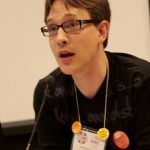 Have you shown the unique and interesting aspect of your main character? What’s at stake for the main character if they don’t achieve their goal? Have you portrayed strong emotions? By the end of chapter one, what has happened to lure your reader into the next chapter? Have you ended with a strong enough hook or cliffhanger? Have enough story events happened in your extract? 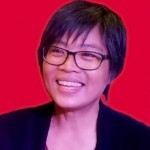 Are things moving along quickly enough? Where have you ended your extract? Is this stopping point the best place in order to leave your reader wanting more? 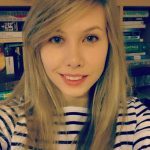 What makes your story different to others in the same genre? 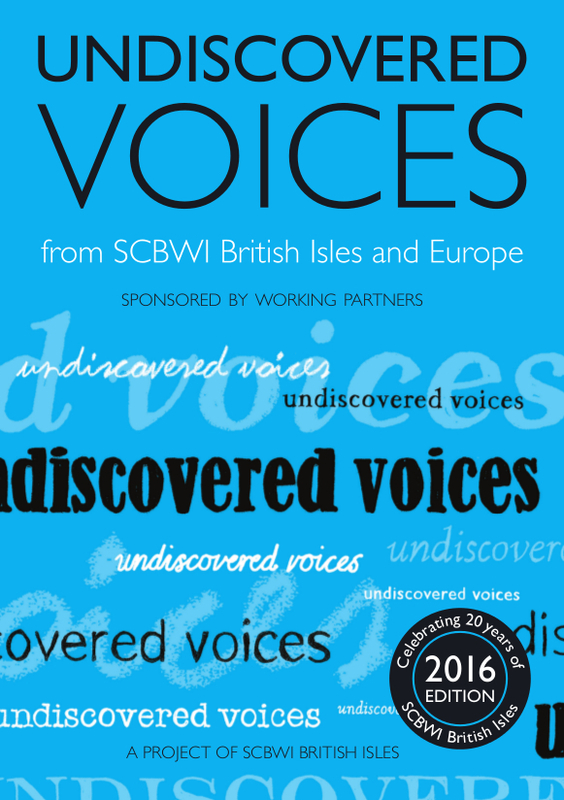 Once again SCBWI British Isles plans to help fresh, new voices in children’s literature find agents and publishers through its Undiscovered Voices project. Authors and illustrators from the six previous anthologies have received publishing contracts for nearly 250 books and have been nominated for or won more than 150 of literary prizes: including the Carnegie Medal, Waterstone’s Children’s Book Prize, Branford Boase Award, Blue Peter Award, the SCBWI Crystal Kite Award, and more than 30 regional awards. Click here to discover more about our previous finalists. The event will consist of a panel discussion with the judges, who will offer valuable advice for those planning to submit to the anthology. To attend, you must be a member of SCBWI in the UK or EU and sign up for the event on the British SCBWI website: Sign up here! 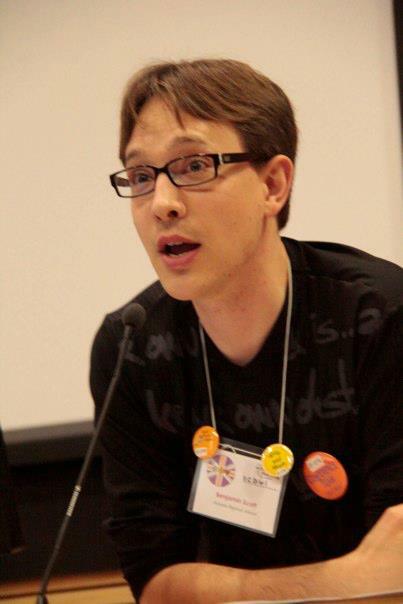 Discover more about our judging panel here. 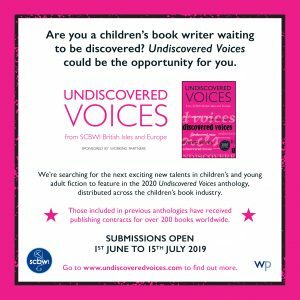 The Undiscovered Voices anthology will include at least twelve fiction extracts – from early readers up through young adult novels – from SCBWI members in the UK and EU. The anthology will be published in February 2020 and sent free of charge to editors and agents whose focus is children’s literature. The book is produced with the financial support of Working Partners Ltd, a London-based company that creates series fiction. This Undiscovered Voices anthology will not include illustrations this time. The SCBWI illustrator team is working on creating a programme specifically designed to support SCBWI illustrators. Submissions will be accepted between 1stJune to 15thJuly 2019 via an online submissions process. There is no submissions’ fee, but only unagented and unpublished members of SCBWI living in the UK and Europe (writing in the English language) are eligible. To sign up to email reminders about Undiscovered Voices, click here. We are pleased to announce the longlist of writers and illustrators who will be considered for the Undiscovered Voices 2018 anthology. These talented writers and illustrators were selected from a record-breaking number of submissions from SCBWI members in Europe. The shortlist of writers and illustrators to be featured in the Undiscovered Voices 2018 anthology will be selected from the list above and announced in early January. As ever, the quality of submissions was extremely high and the judges had a very difficult time deciding on a longlist. 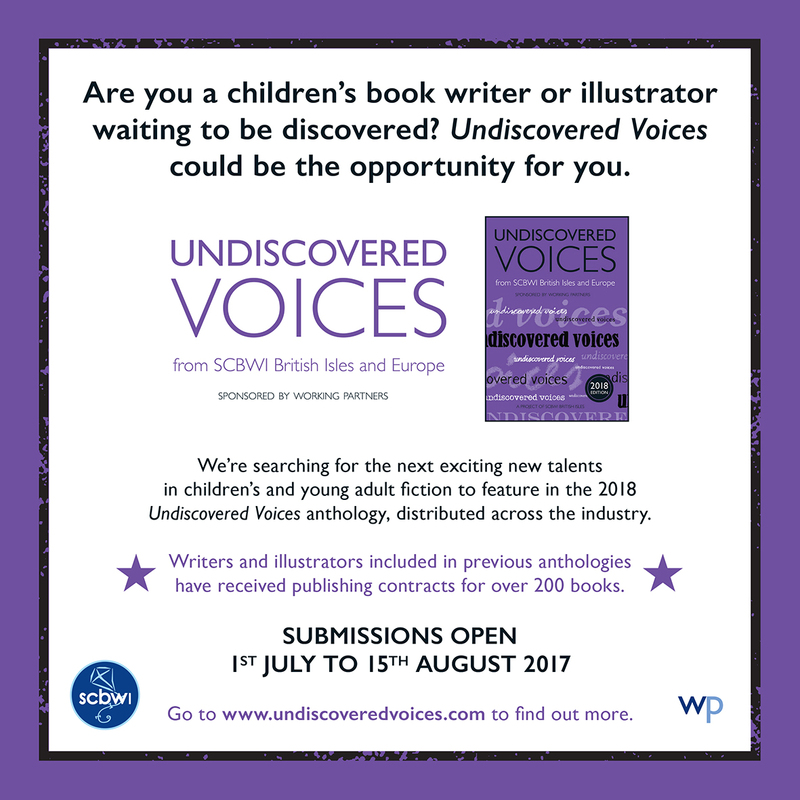 The Undiscovered Voices team endeavours to create an anthology that showcases the variety of writing and illustration available from SCBWI members in the British Isles and the European Union. The goal of the anthology is not only to help the selected authors and illustrators to find agents and editors, but also to promote the quality of work abounding in SCBWI in Europe. Congratulations to the talented Undiscovered Voices longlisted writers and illustrators! Undiscovered Voices 2018 – now open for submissions! SCBWI and sponsors Working Partners are delighted to announce that submissions for the sixth Undiscovered Voices competition are now open. 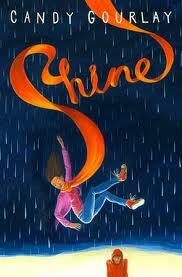 Undiscovered Voices helps fresh, new voices in children’s literature find agents and publishers. 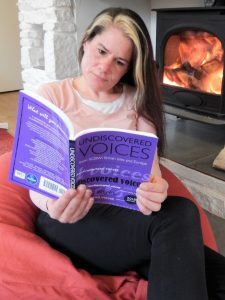 The Undiscovered Voices anthology will include twelve fiction extracts – from early readers up to young adult novels – and twelve black-and-white illustrations. The anthology will be published in February 2018 and sent free of charge to editors, art directors and agents whose focus is children’s literature. The book is produced with the financial support of Working Partners Ltd, a London-based company that creates series fiction. Submissions will be accepted between 1st July and 15th August 2017 via an online submissions process. There is no submission fee, but only unagented and unpublished members of SCBWI living in the UK and Europe (writing in the English language) are eligible. From the five previous anthologies, Undiscovered Voices featured authors and illustrators have received publishing contracts for more than 200 books. The authors have been nominated for and won an amazing array of literary prizes: including the Carnegie Medal, Waterstone’s Children’s Book Prize, Branford Boase Award, Blue Peter Award, the SCBWI Crystal Kite Award, and over 30 regional awards. Click here to enter your writing submission and here to enter your illustration. As we get closer to the opening of UV submissions, we’re posting tips to make sure your submission stands the best chance of making it into the anthology. In this post, we’re looking at a great way to scrutinise your text, some commons errors and few pet peeves that can let your extract down. UV Founder and Author Sara Grant suggests reading your extract out of order. First switch the pages around and read them out of order. Next read the paragraphs out of order. Just make sure your paragraphs are in the right order when you submit. Make sure find-and-replace has caught every version of the word – some find-and-replace software misses out possessive versions of words, or where a different grammatical agreement has been used. A good critique partner (or editor) will point these ticks out to you, but there are plenty web-based editing tools (like http://editminion.com/) that use algorithms to suggest potentially useful edits to your text. Unnecessary word repeated in short space, or over-usage in the whole piece. Main character or narrator thinking too many questions in quick succession – i.e. What was he thinking? What could he do? What did it all mean? Not trusting yourself as a writer and not trusting your readers by showing and telling your reader something – i.e. My hands began to sweat. Fear fizzled in my stomach. My eyes widened in surprise. I was scared. Too many competing metaphors or similes in close proximity to each other. Let your best metaphors and similes breathe. Appropriate level of description – avoid either too much or not enough. Tell your readers what they need to know to picture a scene and understand the action. Too specific action that proves unimportant – i.e. He picked up the knife with his left hand and turned counterclockwise. And, finally, watch out for tenses – nothing is more disruptive that an unexpected and unintentional shift in tense! Stay tuned for our final tips, coming tomorrow. 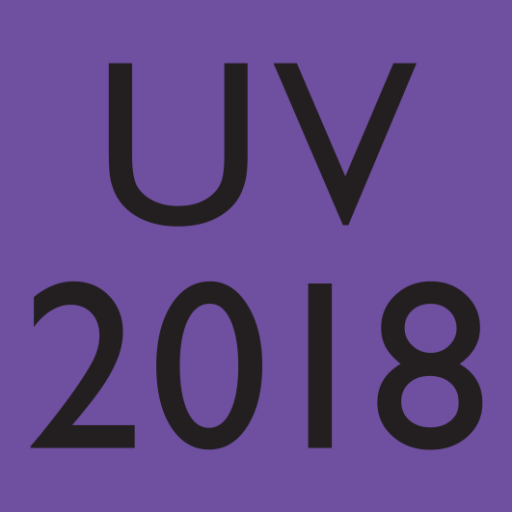 Submissions for UV2018 will open this Saturday (1st July 2017) and will close 15th August 2017. Why not sign up here for submission reminders? Tip 1: Intrigue starts with your first chapter. No explanations. Make your reader desperate to find out what happens next. Tip 2: Voice. Everyone talks about looking for a voice. Voice only happens when your characters have come alive. How do you do that? Inhabit your character and build the plot from within. Tip 3. Setting is context AND character, not information. Stop describing and start characterising. If your setting is alive, your reader will read on. Tip 4. Cause and effect. If cause and effect is not happening then your chapter is static and your reader has probably died of boredom. Tip 5. Don’t be anxious to make sure that your reader understands your story in the first three chapters. First chapters intrigue and lead your reader on. They are not there to explain. Trust the judges – they are reading a LOT of first chapters and I’ll bet a lot of them are explaining rather than exciting. Tip 6. Select the eggs you’re going to offer in the basket. YOU DON’T HAVE TO PUT EVERYTHING INTO THE FIRST CHAPTER. You are more likely to engage a reader with a choice selection. Tip 7. Make sure you identify WHO you’re writing for and that your sample is appropriate to your target readership. Oh, and here’s a guess … most people submitting will probably be writing YA. Ask yourself, is this the one that will help me stand out in the herd? When you are editing down your chapter samples, don’t cut for word number, cut for MEANING and DRAMA. Tip 8. When you are editing down your chapter samples, don’t cut for word number, cut for MEANING and DRAMA. I know so many people who edit down without realising that they are losing the deliciousness of their writing. This means you will have to be wise and practical about choosing what you winnow out of your text. Check back soon for more top writing tips before you submit. As we get closer to the opening of UV submissions, we’re posting tips to make sure your submission stands the best chance of making it into the anthology. Today, we’re talking illustrators! If you haven’t already, flip your image horizontally so that you can see the mirror image of it – you’ll be amazed at how it highlights any errors of proportion, perspective and anatomy. It’s never too late to check and amend. Check your image on lots of devices, not just your computer screen. Everyone’s screens are different so have a look on a phone, an iPad, on a friend’s computer, and when printed out. The judges won’t know exactly what values you intend your image to have so it’s good to feel sure that they’ll see what you want them to see! Make sure your online submission image is 72dpi and under 1Mb in filesize, and make sure you saved the 600dpi version separately – we’ll need that for the anthology! Check back soon for some writing top tips before you submit. As we get closer to the opening of UV submissions, we’re posting tips to make sure your submission stands the best chance of making it to anthology. Unless you’re submitting at midnight on 1st July, there’s still time to give yourself a few hours, days or even weeks breathing space before coming back and giving your work a thorough proofread. Make time to check for glaring errors that are going to interrupt a judge’s enjoyment of your piece. The human mind can be wondrous and inventive, but it can also be downright lazy – the more familiar something seems then the less attention we give it which is why taking a break from it is so important. If you predominately write on screen, then printing your text will help you see it in a different light. Use a ruler or piece of paper under each line as you’re reading to slow down and proofread more accurately. 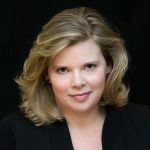 If you don’t have access to a printer, editor and author Catherine Coe recommends sending it to an e-reader or another device to read. You could even temporarily change the font to help you proofread it. We often hear errors (especially grammatical ones) better aloud than when we read silently, so reading your text aloud slowly is great way to hear what works and what doesn’t work. Brave authors can record their text and play it back, or even get friends (or text-to-voice software) to read it to them. Check back tomorrow for some more top tips before you submit and don’t forget to read the relevant criteria for instructions. 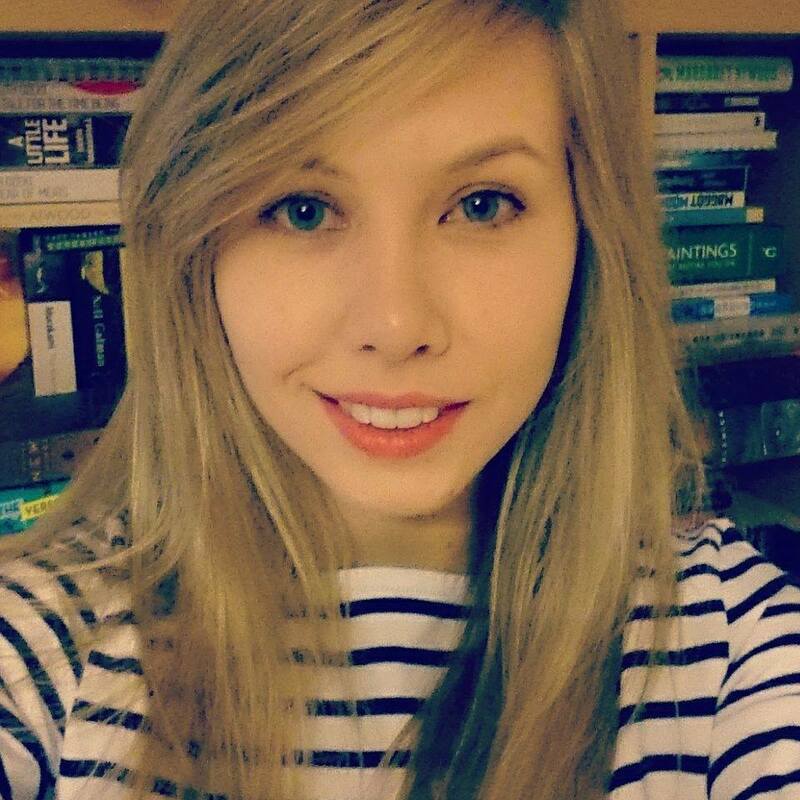 In our sixth guest blog by a past finalist, Sophie Cameron (UV2016), whose novel Out of the Blue will be published next year, talks about the power of thinking yourself as a writer. It’s pretty simple advice, but it really changed my outlook on writing. Before, I’d been someone who enjoyed writing, someone who’d done writing courses and workshops, someone who hoped to one day be published… but not a writer. Once I started thinking of myself as such, I began to take my writing more seriously. I got into a routine and started viewing it as a responsibility, just like my day job. A month or so after that masterclass, I sent the first chapters of my YA novel Out of the Blue to Undiscovered Voices. I’d started writing the manuscript just a few months beforehand so at that stage it was only a very rough first draft, with lots of gaps and plot holes to be filled in. 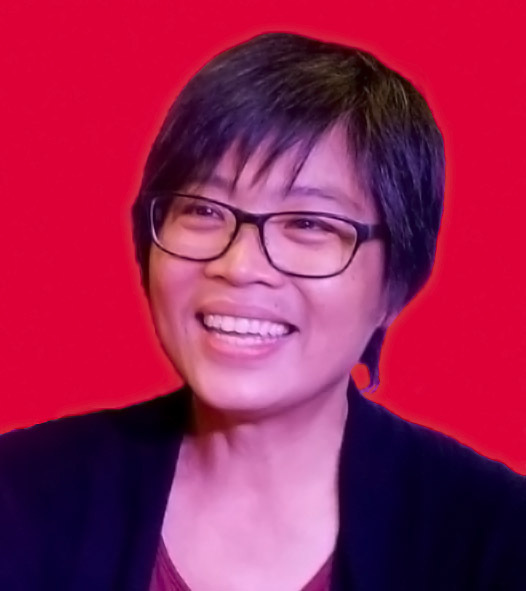 In the time between submission and the longlist announcement, I stayed focused and worked on properly finishing the novel and improving it as much as a could – not because I thought I had much chance of being selected, but because that’s just what writers do. Even having a complete, polished manuscript to my name felt like a huge achievement. Even having a complete, polished manuscript to my name felt like a huge achievement. Until then I’d always reach twenty or thirty thousand words, hit a wall, then get distracted by a shiny new idea and start over. I spent years stuck in this cycle, but once I decided I was a writer, finishing felt like something I had to do; it gave me a focus and drive that I’d never had before. To my amazement, I made the Undiscovered Voices shortlist in December 2015. The next few months were incredible: I got lots of requests to read the full manuscript from agents and editors, several of whom I met while I was in London for the Undiscovered Voices launch party last February, and ended up with multiple offers of representation. I signed with my brilliant agent Hellie Ogden last March, she sold Out of the Blue to Macmillan Children’s Books in October, and it’s now due to be published in spring 2018 – something that still hasn’t quite sunk in! I was so lucky to be included in UV, and I know not everyone has such a quick or straighforward route to publication. But thinking of yourself as a writer, as someone who is serious and professional about what they do, can only help – especially if, like me, you’ve had trouble sticking to projects in the past. It doesn’t matter how long you’ve been writing or what stage in your career you’re at: if you write, you’re a writer. Don’t be afraid to think of yourself as such. Submissions for UV2018 will open this Saturday (1st July 2017) and will close 15th August 2017. Why not sign up here for a reminder when submissions open? 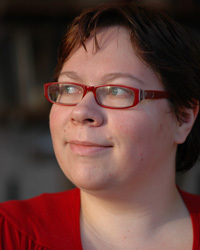 Sophie Cameron is a YA writer from the Highlands of Scotland. Her first novel Out of the Blue was featured in Undiscovered Voices 2016 and will be published by Macmillan Children’s Books in 2018. 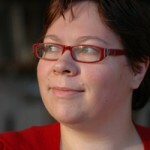 She currently lives in Spain, where she works as an editor for an events magazine, and is writing her second novel. Win Win Win with UV2018! Submissions for the next Undiscovered Voices open on Saturday! To celebrate, UV founder Sara Grant is giving away books this week. It’s her chance to support her fellow Undiscovered Voices writers and indy bookshops. Follow her on Twitter @AuthorSaraGrant for details and a chance to win books from Imogen White, Simon James Green, Dave Cousins, Kate Scott, Katie Dale, Claire Fayers, Candy Gourlay, Jane Hardstaff, Sarwat Chadda, Jane Benson McLoughlin & Shirley McMillan. 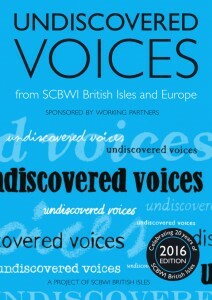 Undiscovered Voices helped launch the careers of 37+ writers with more than 200 books sold worldwide. We can’t wait to see who we will discover next! Tonight, Monday 26th June, Sara Grant, Benjamin Scott, and Loretta Schauer will be taking questions as part of a live chat from 8pm to 9 p.m. for any last minute Undiscovered Voices questions. 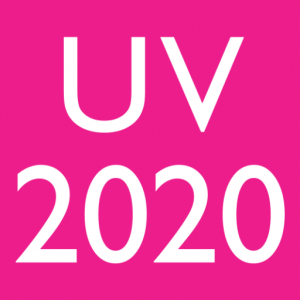 We’re making changes for UV2020 – it’s coming soon!